When technology fails us, life stops. When the troubled technology is in the kitchen––well, we don’t even want to contemplate that. Make sure you’re covered against a malfunction or shutdown of your kitchen essentials by getting an extended warranty from your retailer, and by following these tips to extend your appliances’ valuable lives and keep them performing efficiently. 1. Remove and clean the spray arms. Ensure there is no food or detergent build-up clogging the holes. 2. Consult your owner’s manual for instructions on removing the filter basket––the process varies by model––then take it out and give it a good washing. 3. Clean the inside of the dishwasher with one cup of distilled white vinegar. Pour the vinegar in the bottom of the dishwasher and run a full cycle (empty, of course) on the hottest temperature setting. 4. Check all of the rubber gaskets and water hoses. Make sure the water hoses are tightly secured and there are no holes or signs of deterioration. This is one sure way to avoid leaks. And leaks are, well, bad. 1. Run the self-clean cycle at least once or twice a year, depending on how often you bake. 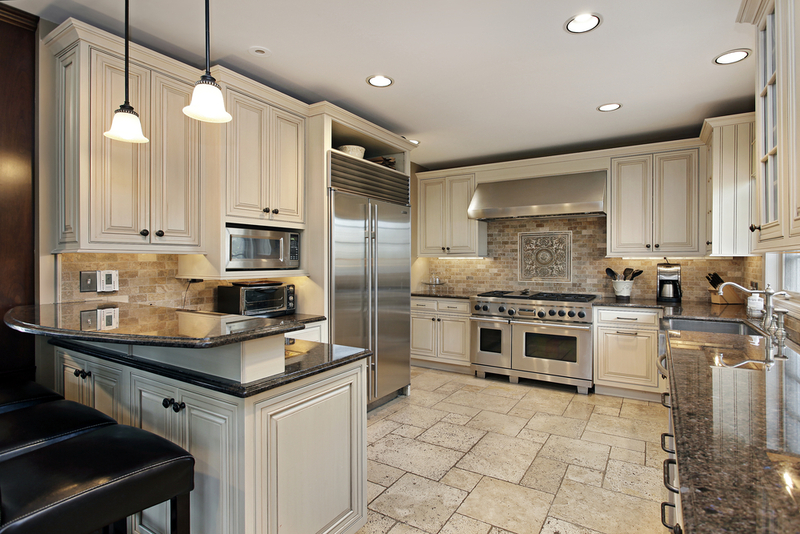 Plan one of those cleanings around a time when you’re using the oven often––such as the holidays. Three tips to keep your fridge running. And no, you won’t have to catch it. 1. Twice a year, check the door gasket by closing a dollar bill in the door; if the dollar bill falls out, it’s time to replace the gasket. If the gasket is still keeping all of the cool air where it belongs (inside the fridge), then simply clean the gasket to remove any food residue and to keep the seal nice and snug. 3. A full fridge is an efficient fridge. Keep it well stocked, and you’ll maintain what’s called “thermal mass,” which enables the refrigerator to efficiently maintain its cold temperature. Oh, and the best temp setting? Maintain that between 37 degrees and 40 degrees Fahrenheit. To make sure you get the most out of all your kitchen gadgets, protect them with an extended warranty from your retailer. Visit www.asurion.com to learn more.